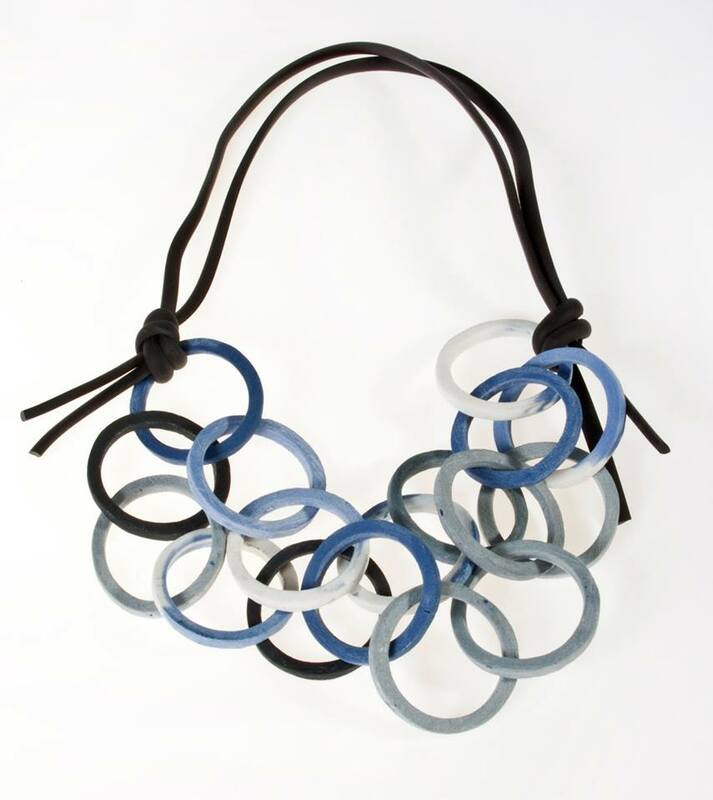 In order to express my aesthetic sense in making jewellery, I use simple geometric shapes and play with their movements and transformations. I try to achieve natural appearance and artistic spontaneity. 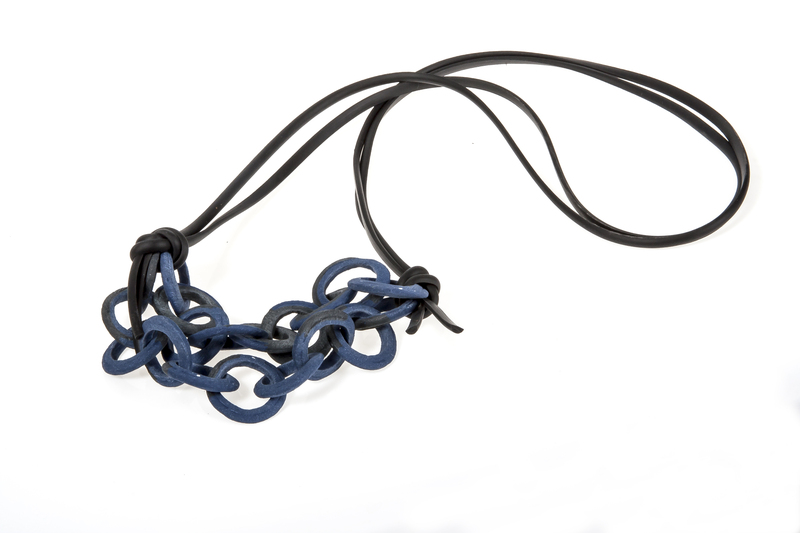 An aspect that I’m proud with the presented collection “Free Chains” is that I have succeeded in transforming the jewellery piece as an object, which amplifies and underlies our free choice and individuality and inspires our imagination. I use porcelain and rubber because of the chance to work with free shapes. 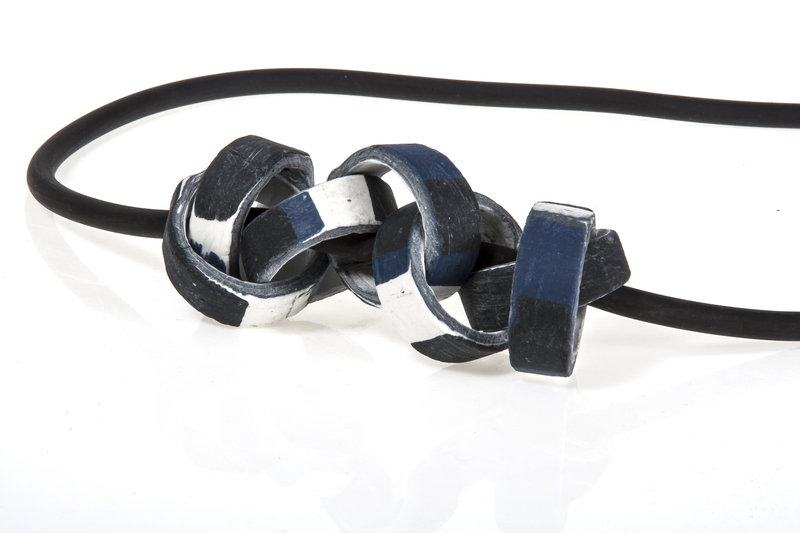 Jewellery makers: Helen Britton and Dimitar Delchev. The event is an opportunity for professional meetings and new inspirations. *We are proudly standing behind the first group exhibition of Bulgarian contemporary jewellery makers at the international and widely acclaimed event Munich Jewellery Week, organised by the cross-disciplinary platform and independent magazine discussing contemporary jewellery in the context of today’s visual culture Current Obsession. Marked as #51 on the participants’ map, the exhibition ICE CREAM CRUSH is adjusted at Del Fiore Gelato.